Tessa left her home country for Lesotho in 1973. Since then, she has travelled extensively and has no plans to stop. First let me say that riding on a camel is a very different feeling to any other mode of passport. Unlike a horse where you constantly bounce in the saddle, riding on a camel is something like sailng a very calm lake. It is a gentle rocking motion, and if there were more opportunities for camel rides in my life, I would take them. Riding a camel is absolutely fantastic! There are many different towns, cities, and countries which offer you camel rides into the Sahara. I'm going to go with two options. 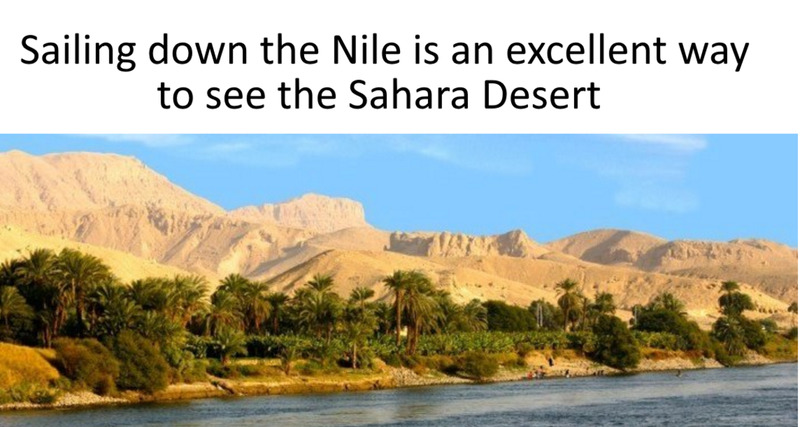 The one is sailing down the Nile and then taking a day trip into the desert, and the second is spending a few days trekking in the desert from one of the towns situated nearby. In this second option, you to to spend a few nights there in nomad style. The advent of adventure vacations has made the Sahara a hot spot for intrepid travelers. Within the Sahara, there are many geographical and historical divisions, e.g. the Sahel, the Nubian Desert, the Lybian Desert, the Eastern Desert. It is also part and parcel of eleven different countries - Morocco, Libya, Egypt, Sudan, Algeria, Chad, Mali, Niger, Tunisia, the Western Sahara, and Mauritania. It covers 3.5 million miles and is the largest hot air desert in the world. 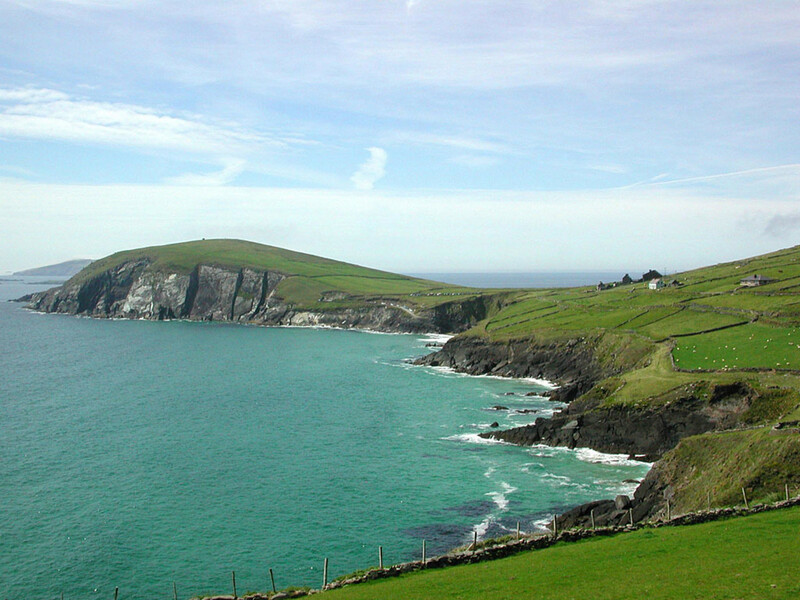 Its landmass is greater than the United States and slightly smaller than the Europe. Therefore, if you are to holiday in the Sahara, you will enter it through one of the countries in the above list. 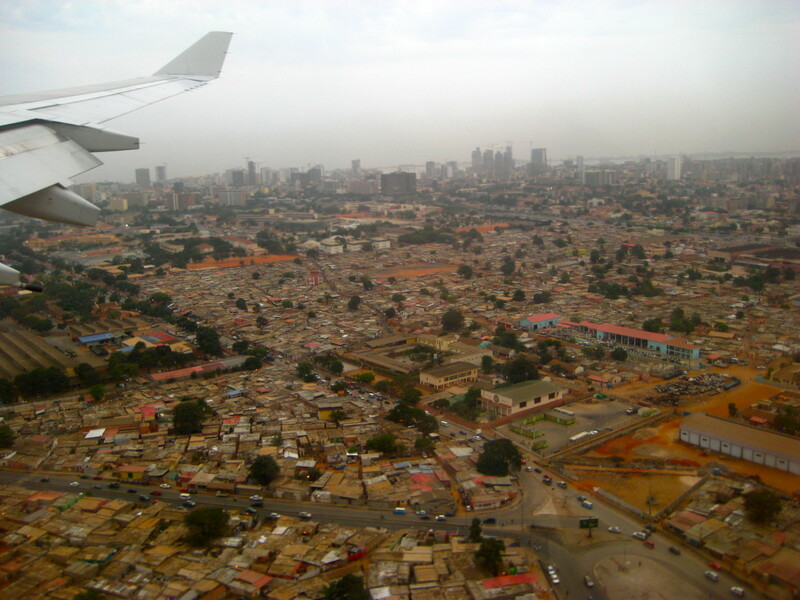 The two best countries with the most tourist opportunies are Morocco and Egypt. Sailing down the Nile is one way to see something of the Sahara Desert. You will also see ancient villages built millennia ago. Sailing down the Nile is also an experience never to be forgotten. My sister tells me that, after nearly 30 years, she is still in touch with the Arabs that she met on her adventure down the Nile. Lifelong friendships can certainly be made while traveling, and it is a fact of life that the more exotic the experience, the more likely you will remember every detail - including the people you meet. The advantage of sailing down the Nile is that as you view the great Sahara meeting the ancient waters of the river Nile, you will also see immense statues, colourful villages, and occasional wild life. It's not possible to sail down the entire 6853 kilometre (4250 miles) Nile because there are six cataracts along the way. A cataract is defined as an area where water rushes over protruding rocks - white water rapids. 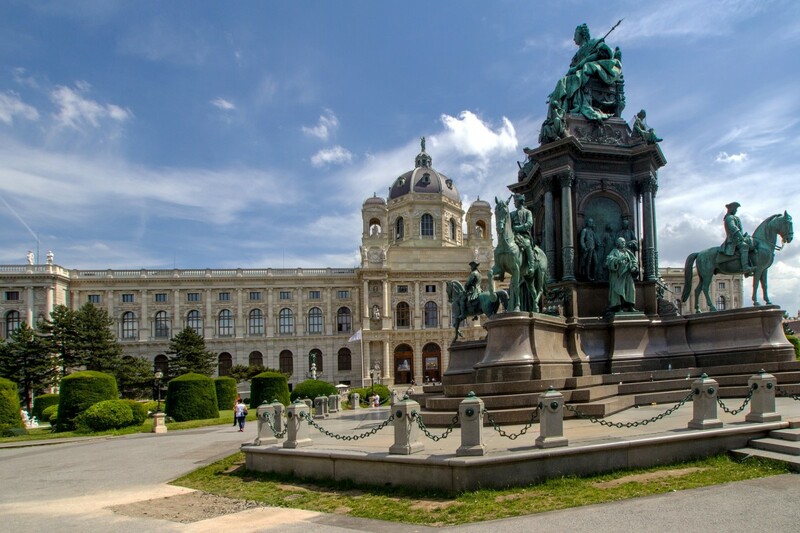 You will need to choose both the starting point and the type of cruise - luxury or basic. Depending on where your start, there will be different sights. I'm going to suggest you start in Cairo and finish up in Aswan. Some might consider it overlong (about two weeks) but I consider it the adventure of a life time. 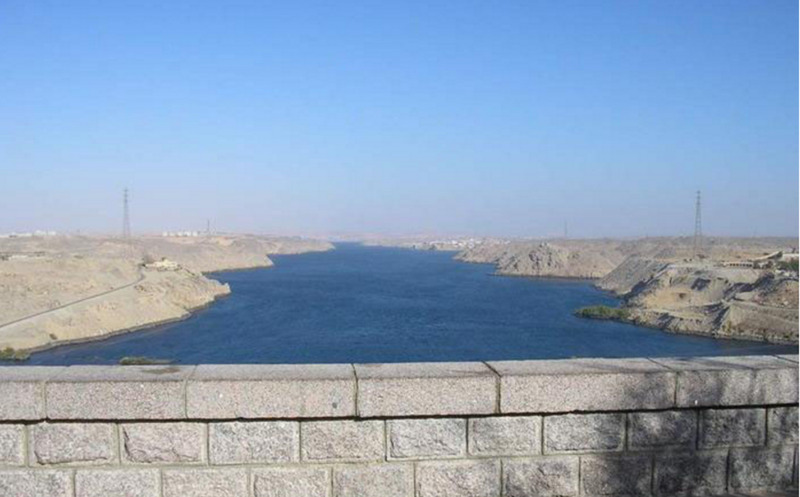 The two weeks on the river Nile will take you past Luxor (ancient Thebes), the Valley of hte Kings, a necropolis where the ancient Egyptians buried their dead, El Amarna (Akhenaten's city), Naga Hammadi (spectaculor scenic sight), and many more. After spending two weeks sailing from Cairo to Aswan, you will probably want to spend three of four days in Aswan. Your trip into the desert (on a camel) will only be a day trip to the St. Simeon's Monastry. St. Simeon was the saint who spent forty years standing on top of various pillars. There are also sunset rides into the desert which are well worth taking as the sunsets are magnificient, and without the ambient light of the city, the stars are a miracle to behold. The Sahara Desert surrounds the Aswan Dam (which is the largest dam on earth). Morocco is your entry point to a world of camel rides through the desert. You have a choice of two Saharan ergs, the most popular of which is Erg Chebbi which is close to a small village - Merzouga. An erg is an area of land that has enormous sand dunes with nothing else in sight. 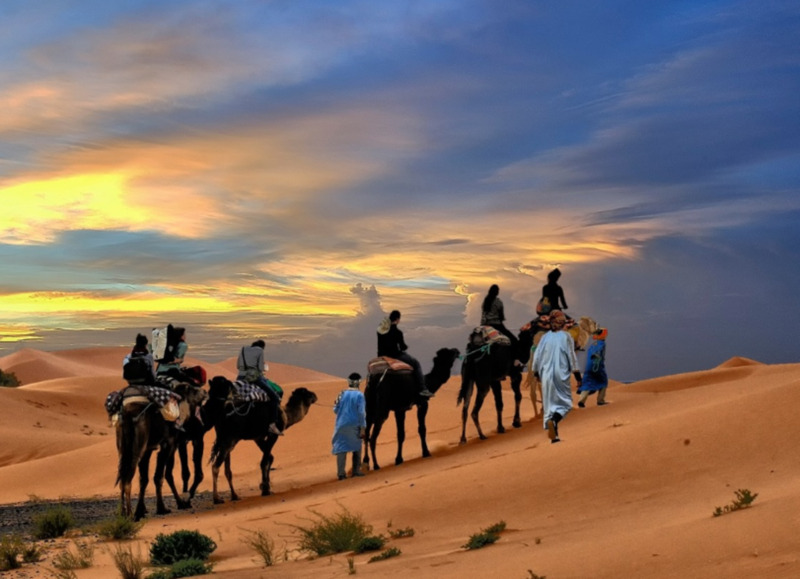 Merzouga is something of a tourist mecca for those who wish to enjoy being part of a camel caravan ambling through the sands as well as enjoy a few nights in Nomad tents. (the real thing). During the day, it's very hot, and you need to have a fair amount of bottled water with you. At night, you will marvel at the immense number of stars in the sky. I cannot begin to describe to you the wonder that you will experience when you look up at the night sky in the desert. For that alone, the experience is worth it. Erg Chegaga is less accessible than Erg Chebbi. It is also more wild and more isloated. 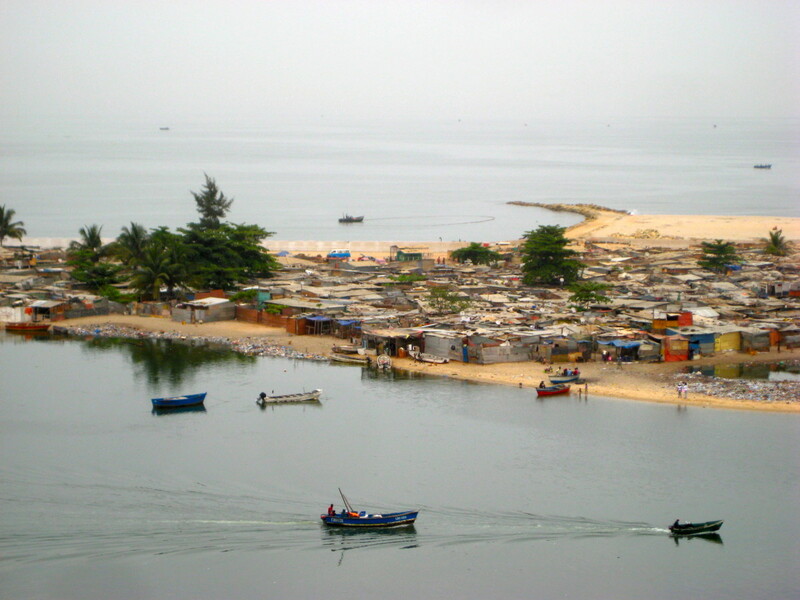 You will need to rent a 4x4 jeep and drive to M’hamid, the small town which is closest to it. If I had to make a choice between the two, this would be it. It connects with so many of our ancient myths. 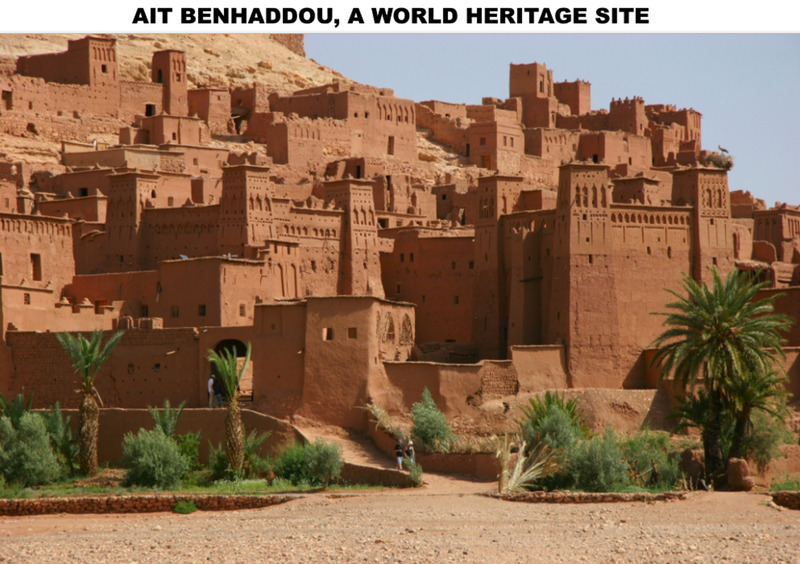 You will bypass the Atlas mountians, Ait Benhaddou (a world Heritage site), and the Iriqu Salt Flats. It's important that you start your camel ride in M'Hamid because this is where the sand dunes start. Remember most of the Sahara desert is just rocky shrub. That's not what you want ot experience. Thinking back now to those high sand dunes, I can only say that there is a silence that penetrates to your soul, and it is quite beautiful. Alternatively, you can get in touch with a tour company in Marrakech, and they will make arrangements for you. Remember to ask how long it will take by camel to Erg Chegaga. If it takes four days and your camel ride is only two, you're not going to see it! Climate is hot and dry. Oasis provide water from underground springs. For a period of about 10,000 years, the Sahara desert was lush and green, but that changed 5000 years ago. If you are caught in an unexpected wind, it can bury you alive. So powerful are these winds that they can shape a dune to 1000 feet in a day and change the entire topography in a few days. The wind is called a Fech. 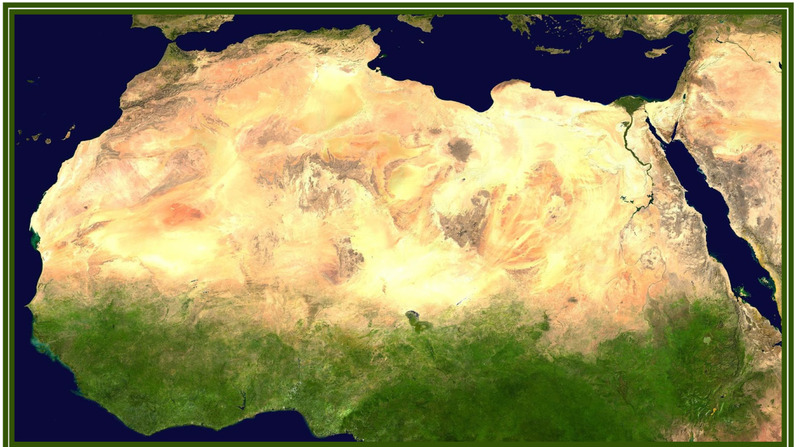 The Sahara is expanding southwards - the area called the Sahel. Small animals live in the Sahara. These include rodents, carnivores, cats, antelopes, gazelles, mountain sheep, and small birds. They get their water from the food they eat. They have adapted in special ways. For example, they don't sweat because that would mean they would have to replace water. Jerboas, a type of rodent, have long back legs in order to run quickly over the hot sand and to be able to jump long distances. Keeping cool during the day is done by burrowing underneath the sand, or if there is rock, hiding in the crevices. They hung for seeds and insects during the night when it is cool and sleep during the day. The fennec is a type of fox and weighs under two pounds. They have very long ears which grow to just under half their body length. Their ears enable them to hear the sounds of other small animals in the desert. Their fur is quite thick to protect them against the cold of the desert at night time and is same color as the sand in order to provide camouflage during the day. The sand cat is a very small species of cat. They have small bodies with short legs, and like the fennec, have large ears in order to hear the desert sounds. They have adapted to the hot sands of the desert by growing a thick layer of fur over their foot pads. This prevents sand burn. Like all cats, they prefer to sleep much of their time! Graceful addax, a type of antelope, also live in the Sahara desert. They live in small herds, and like all the other animals, their bodies have evolved to survive in the hot heat, travel across the burning sand of the day, and survive the cold nights. Their hooves are larger than the hooves of animals not living in the desert as this helps them to gain a solid foothold on the sand. Addax eat the plants that are found in the oases. They are unusual in that they can sense when and where rain is coming, and will travel across the desert sands in order to reach the rainfall area of the Sahara. They can sense the rain from about 125 miles away. In the Sahel (Chad, Niger, and Mali), there are small herds of gazelle. They migrate to the Sahel during the dry months and move back into the desert when the rain comes. There are several types of gazelles, and the smallest type, the dorcas, do not need water as their bodies are adapted to take it from food. Would You Like to Ride a Camel? Absolutely yes! Maybe now. Maybe in the future, but it's on my list. Most people dream of going to play the tables at Vegas, but for the same amount of money, you can make your way to either Morocco or Eqypt and spend a few days or a week in the desert. It is something of a spiritual experience in the sense that one feels the pulsing earth energy where there's nothing but sand. It's been a long time since I have been in the desert, but I have never forgotten. I bet you won't either.